Monoi HEI POA oil has been a part of French life for 40 years. Whether you are at the beach or in town, this small bottle has become a classic, an invitation to travel, to embark on an exotic journey accompanied by its sensual and enchanting scent. Monoi Oil is a natural oil extracted from coconut pulp, in which fresh Tiare flowers have been macerated. The "Designation of Origin" label (DO) guarantees the product its quality, produced in accordance with tradition and the local Polynesian economy. Monoi, a sacred oil from Polynesia is primarily used for massage in addition to be a hair and skin care. It is known for its hydrating and skin-nourishing properties and for its ability to repair dry and/or damaged hair. Monoi is a traditional natural product that solidifies at temperatures below 24°C. To fully enjoy its benefits, even in winter, place the bottle under hot running water. It will liquify the product which will regain its initial properties. Monoi Oil AO, is a natural Copra oil (pulp extracted from coconut) in which fresh Tiare flowers are macerated. Coconuts are harvested from Polynesia's lush coconut plantations before being selected and dried in the sun. FRESH Tiare flower buds are picked at dawn and then, soaked in coconut oil, which has been extracted under pressure. 10 flowers are used per litre of oil. The Tiare flowers will infuse their aromas into the oil with for several days, until an authentic Tahiti Monoi oil is created. The "Tahiti Monoi Oil" Designation of Origin was awarded in 1992. It guarantees the product its quality, made in accordance with tradition and the local Polynesian economy. 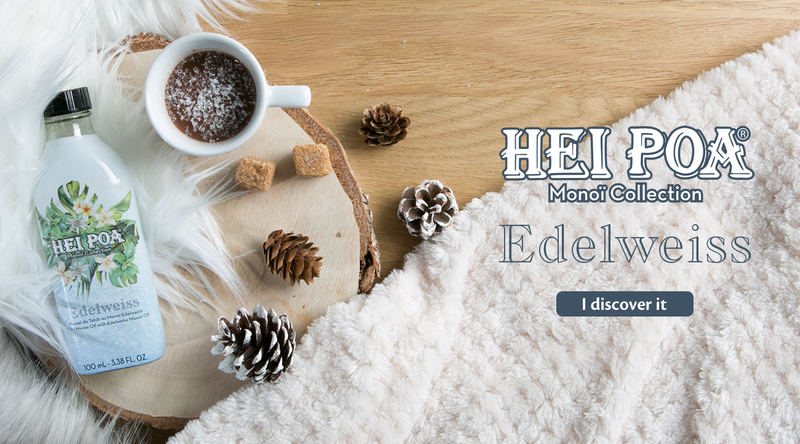 Discover the secrets of making Monoi Oil! 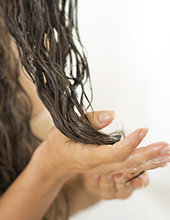 For dry hair, apply Monoi oil and leave it for at least 20 minutes. Wash your hair. To exfoliate your skin and leave it beautifully soft, mix Monoi oil with rock salt or sugar. You will make a homemade exfoliator for the body or face depending on the size of the crystals. Apply it lightly on your hair, neck or inside of your wrists to enjoy its fragrance all day long! 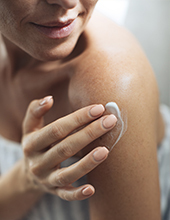 Apply a thin layer of Monoi oil on your face before going to bed and rinse it with water in the morning. Your skin will be brighter and plumper.